British political system has come full circle over the issue of parting ways with the EU. 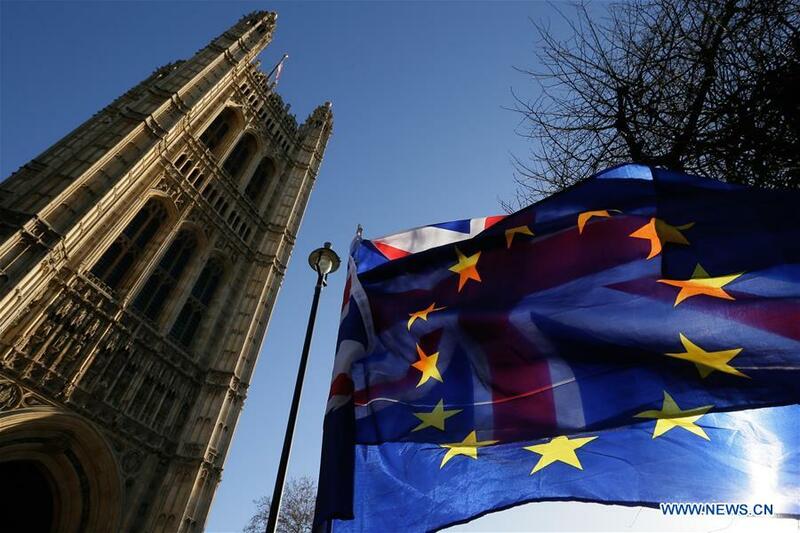 The voting down of Prime Minister Theresa May's agreed plan with Brussels by historic margin of 432-202 has exposed her country's political fault lines and dimmed its chances of a smooth exit. The meaningful vote was initially scheduled for December 11, but then delayed by May. The idea behind this seemed to be that recalcitrant lawmakers would be forced to endorse her controversial agreement due to lack of time to address their expressed reservations ahead of March 29 deadline. However, the plan has backfired spectacularly, leaving May in limbo. Not only has it increased confusion about how the divorce should become effective, but also threatens her future in office. Though, she survived a no-confidence move by Labour Party leader Jeremy Corbyn the following day, May's performance is being minutely scanned both at home and abroad, and especially in Brussels. There are several unanswered questions about her style of leadership, as her handling of the crisis has shown the kind of sagacity needed to handle such a delicate issue as the EU divorce. After Tuesday's humiliation, she did show a willingness to start consultations with the various political groupings in an effort to achieve a consensus before facing the House of Commons early next week when she is supposed to come up with an alternative Brexit deal. Her challenge is not just from the opposition, but also how to regain support of those Conservative backbenchers who joined opposition MPs and voted against the initial deal. The time is short and the stakes are high. Another defeat would leave the Prime Minister with little alternative to a disorderly exit without a formal deal. This would have grave implications for all spheres of British life – ranging from the security issues to business and immigration matters. Events since the Brexit referendum in 2016 show how the entire issue has been mishandled. There is a clear mismatch between what the people had in their minds when they voted for Brexit and what their MPs thought on this important issue. In other words, the people on the street and their representatives in Westminster are simply not on the same page. Politicians both on the right and left have used the EU as a punching bag to vent popular anger against multiple failures at the domestic level. Instead of showing light to a bewildered nation, the leaders offered fantasies. That is why, after more than two years of talks and speculations, the leadership has nothing solid in hand to satisfy the public, who now consider terms like "hard Brexit" and a "softer Brexit" as mere diversions. The bottom line is that a majority of the people who cast votes in the referendum chose "leave" and, in a democracy, their will should be honored and implemented whether there is a deal or no deal with Brussels. Theresa May should realize she became the Prime Minister when her predecessor bowed out after losing the Brexit referendum, with a mandate to organize an orderly exit. Instead of forging unity, she squandered valuable time in electioneering and drawing up plans without taking her own party members and opposition on board. May is not willing to step down or seek another referendum, even though she is losing the moral high ground as well as initiative to deliver. So, can she save her government if she succeeds to gaining further concessions from the EU. One way for Brussels to rescue her could be by extending the deadline for final exit for a while. May can also work on a no-deal exit scenario if parliament agrees to support her. As a last resort to restore her leadership, she can also announce new elections and try to come back with new mandate. Timing is always vital in politics. Any more delay will bring pressure on her to make way for another leader. The Brexit referendum has steered the U.K. into uncharted waters. Brexit has become merely the first stop on this journey; the final destination remains unsure. This is the price the British people have to pay for a decision that was based more on emotion than on thoughtful calculation.